As you would expect, John often posts about legal matters related to dogs, but his posts cover a lot more territory than just that subject. 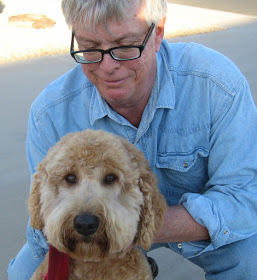 Sometimes his topics are purely practical, such as http://doglawreporter.blogspot.com/2015/08/all-major-us-airport-terminals-will.html , which lets people with service dogs know that all airports except for the smallest will soon have special locations where dogs in transit can relieve themselves. Other times he provides in depth information about dogs in history, such as The Dogs of the Great Plains Nations, a fascinating detailed chronicle of the uses of dogs by Great Plains tribes over time. Common topics of this blog are modern issues such as service dogs, military working dogs, and service dogs. It’s easy to search for subjects that interest you, so take a look at this great web resource. You can search the archives by subject at the top of the home page screen or by year or recent month of publication near the bottom of the righthand sidebar. The sidebar also lists popular recent posts.